A United Launch Alliance (ULA) Atlas V rocket carrying the OA-4 Cygnus resupply spacecraft to the International Space Station lifted off from Space Launch Complex-41 at the Cape Canaveral Air Force Station in Florida on Dec. 6 at 4:44 p.m. EST. 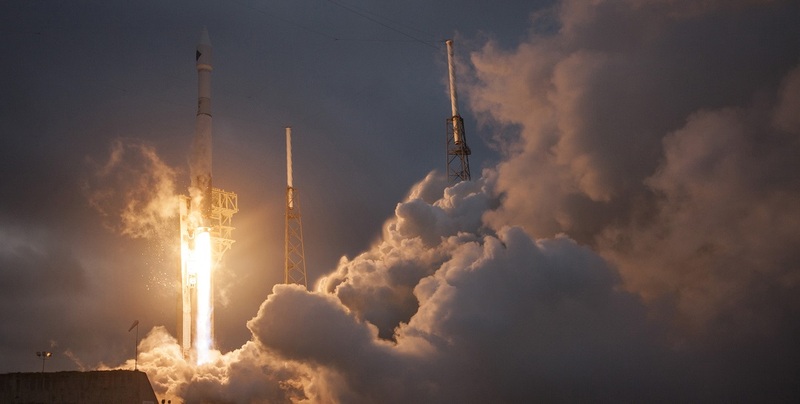 The mission, flown for Orbital ATK under NASA’s Commercial Resupply Services contract, marks the first time the Cygnus has flown on an Atlas V rocket. This was ULA’s 12th launch in 2015. 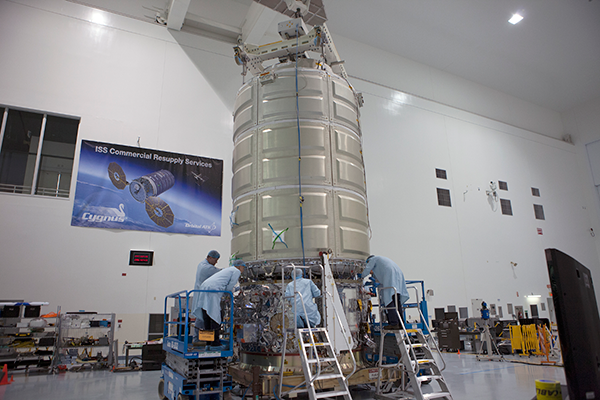 At just over 8 tons, Cygnus is the heaviest payload to launch atop an Atlas V rocket. The Cygnus spacecraft will be grappled at approximately 6:10 a.m. on Wednesday, December 9. NASA astronaut Kjell Lindgren, using the space station's Canadarm2 robotic arm to take hold of the spacecraft. Scott Kelly of NASA will support Lindgren in a backup position. The mission is Orbital ATK's fourth cargo delivery flight to the station through NASA’s Commercial Resupply Services contract. This is the first flight of an enhanced Cygnus spacecraft to the station. The cargo freighter now features a greater payload capacity, new UltraFlex solar arrays and new fuel tanks. Cygnus’ pressurized cargo module has been extended and increases the spacecraft’s interior volume capacity by 25 percent, allowing more cargo to be delivered with each mission. Science payloads will support science and research investigations that will occur during the space station’s Expeditions 45 and 46, including experiments in biology, biotechnology, physical science and Earth science -- research that impacts life on Earth. Investigations will offer a new life science facility that will support studies on cell cultures, bacteria and other microorganisms, a microsatellite deployer and the first microsatellite that will be deployed from the space station, and experiments that will study the behavior of gases and liquids and clarify the thermo-physical properties of molten steel and evaluations of flame-resistant textiles. Cygnus will remain attached to the station for approximately 50 days before departing with roughly 5,050 pounds (2,300 kilograms) of disposable cargo for a safe, destructive reentry over the Pacific Ocean. "In the 12 months since this launch was ordered, the ULA and Orbital ATK teams worked very closely together to integrate the Cygnus with the Atlas launch system, including development of a new structural adapter and also a mission design that includes a 30-minute launch window for this ISS rendezvous mission, ” said Sponnick.